Majority people what will do after coming home to home from office? Hurry burly eating some snacks without changing dress. But it is not good, but evening snacks are only for satisfaction not for hungry. That’s why take bath and be fresh and take some low level food and it is good for health, mind and also it will be relaxation for you. Every working professional will agree with the fact that the time he leaves his workplace to the time he calls it a night, that time feels rushed and ever shrinking. Did it ever occur to you that probably you are not utilizing it right? A lot of people go about doing their stuff when they reach home without changing into comfort wear. This is more of a hygiene concern than anything. The moment you reach home, the first thing you should do is to wash your face and hands and change into comfort clothes. If possible, take a shower. The 8 hours that you spent at work and in travelling stresses your nerves and this is the right way to maintain hygiene and also feel comfortable. Not drinking enough water ? You keep a tab on the amount of water you drink in the morning to evening but somewhere you start losing this count as you reach home. A lot of people reach out to high sugar or fizzy drinks during summers when they reach home and tend to skip out on water. Don’t let the water intake fall at night. 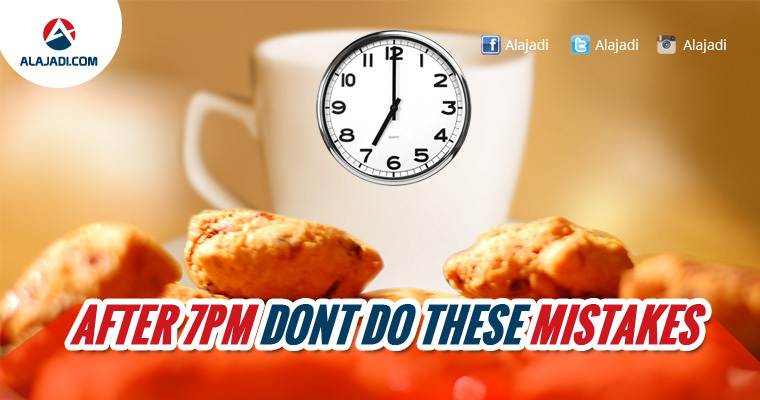 How many of you relish your evening cup of tea with fried snacks or biscuits after going back home? Well, evening tea is not a bad idea but coupling it with unhealthy snacks is. Next time you sit with your cup of evening tea, take a handful of nuts or 2 whole wheat biscuits – and that’s about it. Don’t forget, dinner time isn’t too far. You come back tired from work and channelize your energies watching TV, assuming it’s relaxing you. Clock your TV time to not more than 30 minutes. Spend the rest of the time reading or doing something you love or spend with family. What’s on your dinner plate? They say breakfast is the most important meal of the day. Yes, that’s true. But dinner is no less important, especially for what you eat. Dinner should ideally be your lightest meal of the day because you are about to wind up your day and you don’t want to stress your digestive system to work overtime while you are trying to sleep. Cereal and milk, toast with milk, clear soup, a bowl of dal or salad and fruits are some light dinner ideas that can come to your rescue if you are eating close to the bedtime. Avoid screen time before bedtime. It can play havoc with your sleep quality. Instead read before bedtime. It will soothe your nerves and help you sleep better. Hit the bed latest by 11. Make sure you get 7-8 hours of sleep every day. 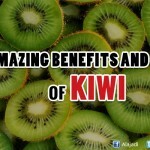 Healthy Reasons to Eat Kiwi ! Home remedies for quick relief from Acidity!